Rain Competition. Micro Exhibition. Vimpt Free Prints. 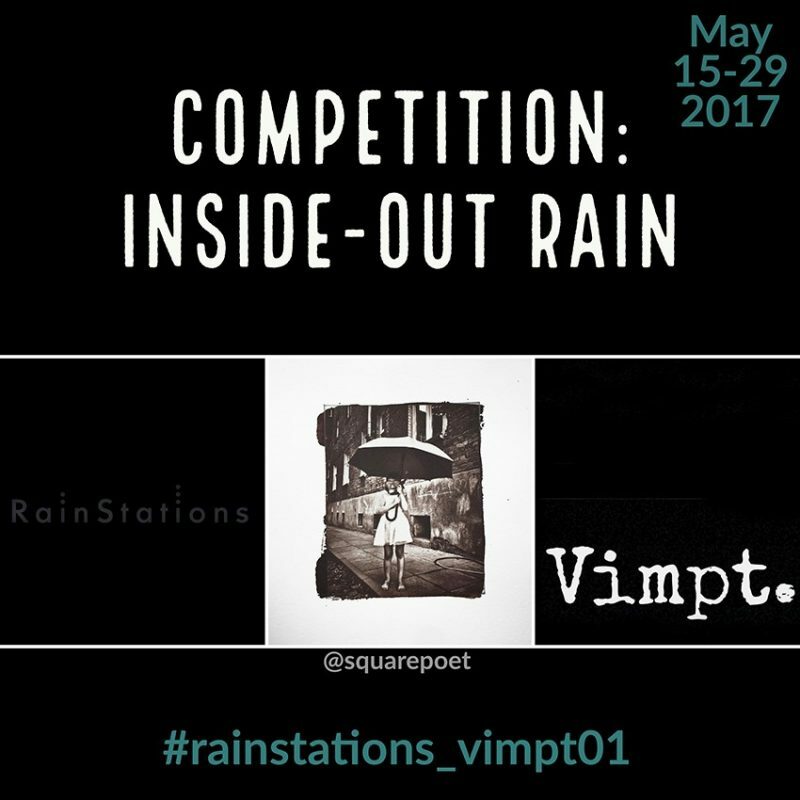 RainStations and Vimpt’s First Rainy Collaboration! Our aim with this competition is to take Insta – OUT! A chance to see the Winner’s Vimpt Prints exhibited. We feel this virtual space is great but seeing a hand printed salt print ‘in the flesh’ so to speak is something very special! No limit to no. of entries. A Micro-Exhibition displaying the 6 winners prints opens : Saturday 3rd June in London. More details to follow. Taking Insta – Out & Exploring ‘Inside – Out’ RAIN. It is about how you perceive RAIN, in a literal or abstract way. You can photograph the RAIN from the ‘Inside-Outside’ perspective, drawing attention to the ‘sensation of wetness’ you would have when taking pictures from a sheltered position, or from the other way around : from the ‘Outside to the Inside’ perspective. Zoom in & Zoom out! Challenge these boundaries of what we call ‘Inside’ or ‘Outside’ Rain and play as much as you want with the concepts of representation or abstraction of the RAIN! Be our guest in this exciting RAIN challenge!